Over time, drains in the kitchen and bathroom will become clogged with hair, fats, grease and with detergents and soaps. When this happens, drains tend to fail and will not function properly. Sometimes, common household plumbing products may do the job, but in many cases a reputable professional company like ours will be needed to fully unclog the drain. Our crew is highly experienced and has the skills and expertise to fix all Clogged Drains in Scottsdale, AZ with great success. If you want the job to be done right the first time, we urge you to hire us today. Our skilled technicians will check your drains for the source of the trouble and will fix the problem right away. You can rely on our first-rate technicians to safely unclog your drains. Our crew will use state of the art equipment and effective techniques to unclog any drain in your kitchen or bathroom. We offer dependable cleaning of Clogged Drains in Scottsdale, AZ services that are the best offered in town. We have been in existence for many years and operate a reputable and high quality plumbing company that will not be beat by any of our competitors. Our services are first-rate, which is why we guarantee that our well trained and experienced technicians will unclog any drain in your home. The services that we provide are top-rate and will not be matched by any other company in the region. 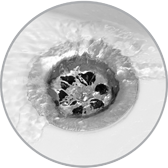 You can trust that our drain cleaning services are top-rate and will not be outdone. If you are looking for a reliable and reputable plumbing company that will do an outstanding job, contact us today to schedule an appointment. When the job is done, we guarantee that the Clogged Drains in Scottsdale, AZ in your home will be completely unclogged and will function properly.